MINT State opened its doors in 2002 and not surprisingly, that was the first year we set up at the National Sports Collectors Convention (NSCC). Better known as “The National,” it was an annual working vacation for me, Beth, Grace, and Nathaniel. Other dealers probably remember our children riding their scooters on the concrete floors of the various convention centers as we were all setting up for the five long days of the show. The 2002 National was in Rosemont – Grace was eight years old and Nathaniel was merely six. As long as our annual hotel accommodations for The National featured a pool, they were willing to trade nearly one week of their summer break for the sake of sitting behind display cases for five straight days. As each year passed, they grew and matured – as children tend to do – as a constant reminder to our fellow vendors and corporate sponsors the years were quickly passing. Well, Grace graduated from college earlier this year and Nathaniel follows in 2017. Once again, The National is upon us. Nowhere else can a fan obtain autographs from dozens of athletes represented by so many sports, or see so many incredible sports cards or memorabilia items at one time. 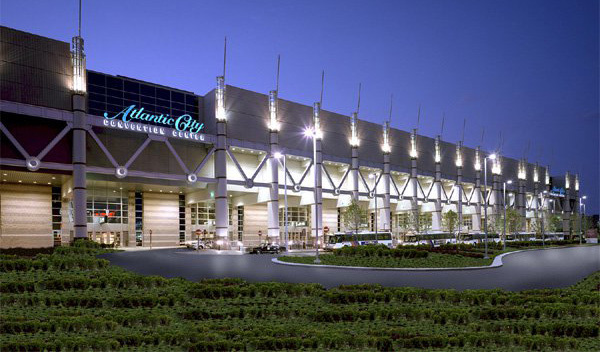 Beth, Nathaniel, and I will be attending the 37th Annual NSCC at the Atlantic City Convention Center this week. If you’re interested in selling or consigning to MINT State, or viewing the three remaining cards from “The Lucky 7 Find,” please contact us in advance to set up an appointment. See for yourself why it’s the premier collectibles event to attend each summer!